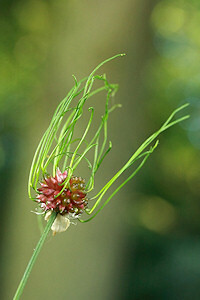 This odd-looking flower is wild onion, sometimes called crow garlic. 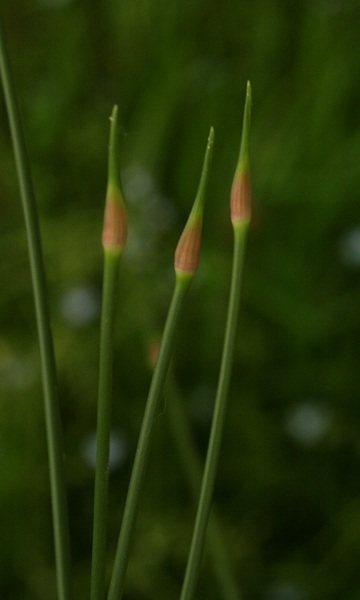 The stems are narrow and tall with the flowers that grow from small bulbils near the top of the stem. 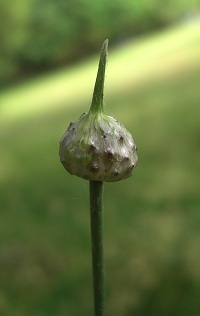 It smells strongly of garlic.